David Jardine is an agent for MI-6. As a member of the British Secret Service, Jardine is a man who has paid his dues and slowly come up through the ranks while operating in the field performing what he calls “offensive intelligence”, the so-called “Denied Areas where your agents get killed if discovered”. Though he had managed to not get himself killed, he had various injuries to his upper and lower back, his neck, and other regions, which showed the dangers of parachuting into unfriendly territory, brawls to the death in alleys, and such unpleasant activities. Now at 48, he usually didn’t have to do that anymore. Now he has his own section of the Department in the home office, all jealously guarded by his no-nonsense secretary, Mrs. Brownlow. It is from this warren of small offices that he runs agents of his own in different sections of the world. When the series begins, it is the South American section that is his beat. In later books this changes. Wherever he is, though, he is definitely the man in charge. Which does not mean he is not capable of returning to the old days and getting into the field again, actions which happen now and again. But when "safe" at his desk or at a function, he has to deal with different sorts of enemies, including some who seem to be on his side but who really aren't. His time in the field has made Jardine a bit of a legend among his non-operatives and “just about acceptable” to those he sends into the same dangerous field. “Tall, broad-shouldered, untidily assembled, he looked as if he had been through plenty and had kept his sense of humor.” This latter is impressive, considering the too many high-level boring meetings he has to attend. Jardine in no way misses the action. He is well aware that he beat the odds by living out there as long as he did. But his passion for learning the truth sometimes makes it essential he get his hands dirty again. As David Jardine prepares to plant an operative inside the drug cartels in Columbia, other forces are lining up to achieve their own agendas in that South American country. 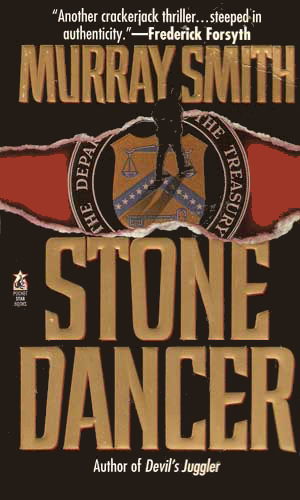 A desperate call for help from one of his agents, and a lover, sends David Jardine to Beirut only to find it a trap by Mossad, for whom the lady is also working, to get his help in stopping a rogue agent from attacking the U.S. Treasury. While struggling to set up a network in Iran and concerned with leaks at the CIA, David Jardine has to think hard when he learns of a plot to attack America. If he stops it, his people may die. If he doesn't, innocent civilians will. 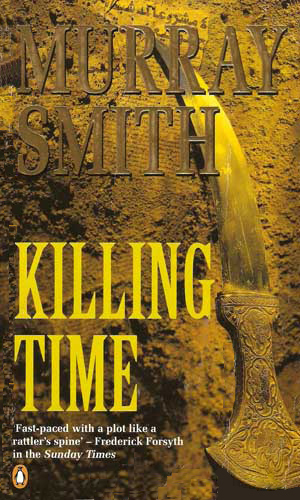 I love both the quick action adventure books and the political intrigue novels and I get both in Mr. Smith's series. The character has to worry about being shot by an enemy, stabbed in the back by a so-called friend, or being out-played on the international front. 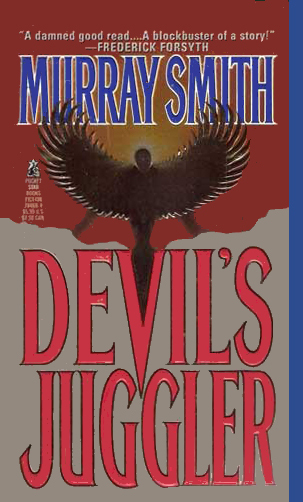 The writing style is very good and the pace is a brisk, enjoyable one. Jardine, at his age, is still a randy fellow and his eye for the ladies never wavers but his attention is usually on his work and his work is fun to watch. This series is about Jardine but he does not hog the attention. The action also follows his field operatives and lets the reader get to know other people and other situations than just the main character.